Sir Richard Owen, the 19th Century anatomist and palaeontologist who first used the term dinosaur, has been honoured by the Society of Biology by having a blue heritage plaque installed at his former school, Lancaster Royal Grammar. The plaque was unveiled yesterday at a small ceremony. Blue plaques serve to act as a historical marker, indicating that a notable person was associated with a place or that an important, historical event occurred at that location. This blue plaque commemorates that fact that Sir Richard (knighted in 1884), attended the school from 1809-1819. Undoubtedly, Sir Richard Owen was a very talented scientist and an extremely clever man. Although he did not impress all his tutors whilst at Lancaster Grammar School. One school master described him as “impudent” and doubted whether the son of a merchant would ever amount to very much. Although Sir Richard gained a great deal of acclaim during his lifetime and certainty did make a huge contribution to science, by all accounts he had a very egregious character. There are a number of accounts of him plagiarising the work of his contemporaries and he was very critical of the work of some of his peers. For example, the then, plain Richard Owen disputed much of the evidence put forward to support the theory of natural selection as suggested by Charles Darwin in the “Origin of Species”, which was first published in 1859. Richard Owen seemed to resent the success of others and he has earned a reputation (perhaps deserved), for being quick to condemn the work of others whilst desiring to talk up his own contribution. In a glittering career, which saw him rise to the top of the Victorian scientific community, Sir Richard Owen was awarded many accolades. He supervised the first “life-sized” prehistoric animal replicas as part of the Great Exhibition in 1851, he acquired one of the very first Archaeopteryx fossil specimens and studied it in great detail. He described a vast array of extinct and extant animals and wrote a prestigious amount of academic literature. Perhaps his most notable achievement was campaigning for and helping to set up the museum now known as the Natural History Museum. Owen’s “cathedral to nature” opened in 1881. Sir Richard Owen may be credited with coining the term “dinosaur”, but he was not the first person to note that the strange fossils of ancient animals being found in southern England and elsewhere represented a distinct group of animals. The German palaeontologist, Hermann von Meyer stated that these ancient reptiles now known as dinosaurs should be considered a separate Order as early as 1832, around ten years before Sir Richard Owen coined the term “Dinosauria”. A young Sir Richard Owen. In total ten blue plaques are been erected by the Society of Biology to commemorate the contributions to science made by “heroes of biology”. Other recipients include: Patrick Steptoe, Jean Purdy and Robert Edwards who jointly developed IVF, leading to the world’s first test-tube baby, Louise Brown who was born in 1978, (plaque located at Dr. Kershaw’s Hospice, Oldham) and Sir Anthony Carlisle, an anatomist who helped develop the concept of producing medical statistics. There is even a plaque being erected to “Dolly the Sheep”, the first mammal to be cloned from an adult somatic cell rather than an embryonic one. This plaque can be seen at the Roslin Institute (part of the University of Edinburgh), where Dolly lived all her life (1996-2003). We are not sure quite how Sir Richard Owen would feel about having a plaque erected to honour him at the same time as a sheep gets one, but we suspect that he would be desperately keen to learn more about the science of genetics, which was virtually unknown when he was alive. Rebor is introducing an exclusive and limited edition range of prehistoric animal replicas under the name “Club Selection”. The first of these models is a beautiful figure of a hatching Triceratops. The baby Triceratops has been nick-named “Jolly” as she went into production around Christmas 2014. Only 1,000 of these exquisite replicas have been produced and Everything Dinosaur was lucky enough to be amongst the first in the world to receive stocks of this highly collectible item. Only 1,000 have been made. The Christmas link is obvious as soon as you open the packaging. “Jolly” has been supplied with a Santa Claus hat! The “Christmas Hat” can be seen in the corner. When mounted on its base the model stands a little under seventeen centimetres high and it is a superb model of a hatching Triceratops and we look forward to hearing more about the exclusive Rebor Club Selection. Each hand-crafted replica is given a unique number on its base plate, this is the customer’s guarantee of quality, confirmation that they own one of just 1,000 replicas to be produced. Check the number on the base of “Jolly” the Hatching Triceratops. These replicas are going to highly prized in years to come and we advise all serious dinosaur collectors to get one whilst stocks last. It’s not just Paddington Bear that heralds from Peru, a team of international scientists writing in the academic journal the “Proceedings of the Royal Society B” have published a paper that describes a rich and diverse wetland ecosystem that thrived thirteen million years ago, jam packed with co-existing Crocodylians. North-eastern Peru was covered in an extensive tropical wetland during the Middle Miocene Epoch (Serravallion faunal stage), at least seven different species of ancient crocodile lived in this habitat, three of which are entirely new to science. The crocodile fossils have been excavated from two highly fossiliferous bone beds that document life in South America prior to the formation of the Amazon basin and its rainforest. As much of north-eastern Peru is now covered in tropical, lowland forest, exposed outcrops of sedimentary rocks are rare, however, a team of researchers from the University of Montpellier, Toulouse University, the American Museum of Natural History, the Naturalis Biodiversity Centre (Holland) and the Department for Vertebrate Palaeontology at the Natural History Museum in Lima have spent more than a decade piecing together information about this ancient ecosystem, one in which a number of specialised Crocodylians co-habited. Hyperdiverse Crocodylian community of Mid Miocene Peru. The picture above illustrates the proto-Amazonian swampland of north-eastern Peru from around thirteen million years ago and three of the Crocodylians that lived in this habitat. Kuttanacaiman iquitosensis (left), Caiman wannlangstoni (right) and feeding on clams on the lake floor is the short-snouted Gnatusuchus pebasensis. The research team conclude that with the fossilised remains of at least seven different species present, this ecosystem represents the greatest concentration of crocodile species co-existing in one place at any time in Earth’s history, as recorded in the fossil record. In comparison, the Amazon rainforest today, is home to just six species of Caiman, but only three species are known to co-exist in the same habitats. The scientists suggest that the huge range of different Molluscs, creatures such as land and pond snails as well as several types of clams enabled these different types of freshwater crocodile to specialise in feeding on a particular group. Although vertebrate fossils are rare in the exposed Peruvian Miocene strata, a vast assemblage of Mollusc fossils have been preserved. It seems that whilst today’s South American Crocodylians are generalists eating a range of prey items, in the Mid Miocene a group of durophagous “shell-crunching” crocodiles evolved, to exploit the huge range of different types of Mollusc. Clams and snails now only make up a small portion of most Caiman’s diets. Other types of crocodiles known to have lived in this habitat include the bizarre Mourasuchus, a large reptile, that probably fed by filtering zooplankton and other small animals out of the water. The dangerous Purussaurus also inhabited the waterways. Attaining lengths in excess of eight metres, this was an apex predator that probably preyed on a range of animals including other types of crocodile. With three of the species new to science, it demonstrates the diversity of the Order Crocodylia. One of the most peculiar of all the new crocodile discoveries is Gnatusuchus pebasensis. This was a short-snouted Caiman with rounded teeth and it is thought that it used its snout to dig in the mud at the bottom of lakes and swampy areas to extract clams and other shelled creatures. The shells would have been smashed to pieces in the strong jaws with their specialised teeth, designed for crushing. New species of ancient Peruvian crocodile. The model in the photograph above was made by Kevin Montalbán-Rivera. South America remained an island continent until around three million years ago. Isolated from the rest of the world, a unique fauna and flora evolved, including so it would seem a diverse group of Crocodylians. The Amazon basin itself did not form with its extensive network of rivers until the Late Miocene, around 10.5 million years ago. Today, the mighty Amazon drains eastwards into the Atlantic ocean, however, in the Mid Miocene, the lakes, wetlands and swamps drained to the north, through what is now Columbia and Venezuela. As the Amazon system slowly evolved, so it seems that the large numbers of molluscs and other shelled creatures began to decline, this led to the extinction of many of the different types of crocodile that relied on these creatures for food. As well as the specialised clam feeders, the research team also discovered the first unambiguous fossil evidence of an ancestor of extant Caimans. This Caiman, named Pebas palaeosuchus (ancient crocodile of the Pebas Formation), had a longer snout better adapted for catching a variety of prey. It is this evolutionary design that triumphed over the broad but short-snouted Crocodylians, giving rise to modern Caimans. Since 2002, the research team have built up a detailed picture of the various different types of crocodiles that inhabited the ecosystem, as preserved in bone beds associated with the Mid Miocene-aged Pebas Formation. The skull and jaws, depicted above show the specialist adaptations of the different species. All these different types of Crocodylians, but alas, it seems, the scientists have not identified a species that could have fed on Paddington Bear’s ancestors, or even marmalade sandwiches for that matter. Everything Dinosaur acknowledges the assistance of the American Museum of Natural History in the compilation of this article. WIN! WIN! WIN! with Everything Dinosaur! PLEASE NOTE THIS COMPETITION IS NOW CLOSED. We have got another super, prehistoric animal and dinosaur giveaway. CollectA, those clever model and figure manufacturers will be bringing out some amazing new prehistoric animal figures in 2015 and we are giving one lucky dinosaur model fan the chance to get their hands on a set of these new models before anyone else. Win a set of CollectA models with Everything Dinosaur! Our prize giveaway includes the mighty 1:40 scale Pliosaur, the pair of horned dinosaurs Nasutoceratops and Medusaceratops, the fearsome Xiongguanlong, Daxiatitan, the Temnodontosaurus and the magnificent prehistoric mammal models Daeodon and Moropus (both 1:20 scale). Eight superb collector’s items, the first to come off the production run and to win this prize all you have to do is to come up with a collective noun for a collection of CollectA! To enter Everything Dinosaur’s competition, all you have to do is “Like” Everything Dinosaur’s FACEBOOK page, then comment on the picture (either here or on Everything Dinosaur’s Facebook page) including a suggestion for the collective noun for a set of CollectA prehistoric animal replicas. For example, if the collective noun for a group of lions is a “pride” and we have a “pack” of dogs, a “swarm” of bees, a “gaggle” of geese, then what term can you come up with for a collection of CollectA prehistoric animals? We will draw the lucky winner at random and the name caption competition closes on Tuesday, March 24th. Good luck! Just visit Everything Dinosaur’s Facebook page, give our page a “like” and then leave a comment on the picture showing the set of eight prehistoric animal models. What collective noun can you come up with? Win a fantastic set of 8 prehistoric animal models. The Everything Dinosaur collective noun caption competition runs until March 24th 2015. New for 2015 and one of two new replicas in Papo’s prehistoric animal replica range (the other being the Tupuxuara Pterosaur), is a model of a Young Apatosaurus, part of a trend by the French manufacturer to depict juvenile versions of dinosaurs, after the introduction of the young Triceratops last year and what an amazing detailed Apatosaurus model it is. Papo has earned a deserved reputation for the quality of the skin texture on its prehistoric animal models. Once again, Papo have produced a beautifully sculpted dinosaur with lots of anatomical evidence inferred in the sculpt and some amazing skin details with wrinkles and folds clearly evident, even underneath the model as well, an area often overlooked in poorer quality dinosaur replicas. For many years the head of Apatosaurus was unknown and many museum exhibits depicted this dinosaur with a square, box-like skull reminiscent of another type of long-necked dinosaur whose fossils were also from Upper Jurassic aged deposits of the Western United States (Camarasaurus). It was not until the late 1970’s that the skull of this dinosaur was formally described. Apatosaurus had a skull very similar to that of Diplodocus. It was rectangular in shape, with a blunt, square snout. The weak, peg-like teeth were only present in the front portion of the jaws. This Papo replica does a fine job at recreating the head as it is reflected in the fossil record. When compared to the rest of this dinosaur’s body the head is extremely small. The tiny nostrils are positioned on the top of the skull, again reflecting what most palaeontologists believe, they are present on the model, but such is the fine detail on this replica that they are best viewed using a magnifying glass. The neck of Apatosaurus was relatively short compared to the tail but much broader and thicker. The bones in the neck, the cervical vertebrae, are much wider than they are long. The neural spines along the top of the these bones were divided in two, what is termed bifurcation. These formed fork-like processes technically referred to as paired metapophyses and they can be picked out in this Apatosaurus replica, which is very much to Papo’s credit. In addition, viewed from the side, prominent bumps along the neck can also be seen, these mark the presence of immense cervical ribs that stuck out sideways in the neck bones of Apatosaurus. By counting the bumps you can estimate the number of cervical vertebrae depicted in the model. By our calculations the count comes up a couple short (should be fifteen, we think) and although the bumps are very conspicuous in the replica, obviously, whether or not these bumps would have been visible in the living animal is purely speculative. Our guess is that with the neck being very strong and covered in sheaths of muscle, these lumps and bumps would not have been seen. However, as they feature in the Papo replica, it does at least indicate that the French company has done some research into the characteristics of Apatosaurus neck bones. The hands and feet of Sauropods are unique amongst the vertebrates and again Papo is to be applauded for the details shown in their Apatosaurus model. On the front feet, the hands, there are signs of five digits, although only one, the thumb has a claw. The claw is particularly large and prominent, diplodocids like Apatosaurus did indeed have big, pronounced thumb claws. The hands may have had a more column-like appearance and it might have been difficult to spot individual fingers, but we commend Papo for their efforts. The feet are also well modelled, the stout and strong back legs end in hind feet that look very different from the “hands” of the Apatosaurus replica. The back feet are larger than the hands and there are three claws to each foot, again there is much to be appreciated with this sculpt. The tail is very long and very thin at the end. The tail of Apatosaurus was indeed very long, it had some eighty plus tail bones. The tail in the model is held off the ground (correct posture) and curved round on itself resembling a whip. This is very typical of modern interpretations of the tails of diplodocids. It may not have used the tail as a defensive weapon, however, by swishing the base of its tail, the tip would travel so fast that a supersonic cracking sound could have been produced. This sound could have been used to communicate with other herd members or to deter predators. Recently, it has been suggested that many of these types of long-necked dinosaurs possessed defensive spikes that ran down the back and along the tail, however, Papo have opted not to depict any spines or spikes on their Apatosaurus. Officially the model measures 37 centimetres but when that curved tail is taken into account this figure is something like 41 centimetres long. We at Everything Dinosaur have been asked to comment on the age of this Young Apatosaurus model. There has been some work on growth and the potential ages of dinosaurs represented by Apatosaurus fossil material, (ontogenic studies) although the research is far from conclusive. We like to think that the Young Apatosaurus model is of a sub-adult, consider this replica as a teenage Apatosaurus. All in all this is an excellent Young Apatosaurus dinosaur model and it is a welcome addition to the Papo prehistoric animals range. It might be one of the best known of all the genera of Mesozoic marine reptiles, but the Ichthyosaurus genus has been becalmed in terms of new additions to the species list. That is, until a remarkable discovery in the fossil collection of the Doncaster Museum and Art Gallery led to the naming of a new species. Ichthyosaurus anningae, the first “new” Ichthyosaurus for 127 years. A paper describing this new species is due to be published in the prestigious academic publication “The Journal of Vertebrate Paleontology” and it is great to see that the trivial name honours Dorset fossil collector Mary Anning, it was Mary along with her brother Joseph, who found the first Ichthyosaurus fossils to be scientifically studied (1811). The fossil, representing a sub-adult specimen, had resided in the collection of the Doncaster Museum and Art Gallery since it had been acquired sometime in the early 1980’s. It was excavated from Lower Jurassic strata of West Dorset, but we at Everything Dinosaur, are unable to provide further information as to who exactly discovered it. The fossil is believed to have come from the Lower Pliensbachian Stonebarrow Marl Member (Charmouth Mudstone Formation), which forms part of the geology of southern England’s famous “Jurassic Coast”. The specimen, which measures around 1.5 metres in length is nearly complete, there is a beautifully preserved skull, much of the front portion of the body including ribs and preserved stomach contents. The assigned holotype (DONMG:1983.98) had been mislabelled as a plaster cast replica. Team members at Everything Dinosaur recall seeing the image of the fossil used to help promote children’s holiday activities at the Museum, it emphasises the importance of regional museums and their collections. There are probably a significant number of new species awaiting discovery, not in the cliffs of Monmouth Beach, Lyme Regis, but in the draws and cabinets of museums. This is not the first time that a new Mesozoic species has been identified from a museum collection. Back in 2007, Everything Dinosaur wrote about the discovery made by then PhD student Mike Taylor at the Natural History Museum (London), which led to the naming of a new species of Sauropod dinosaur. Dean Lomax, Honorary Scientist at The University of Manchester, examined the specimen in 2008. He noticed a number of anatomical differences between this specimen and other types of Ichthyosaur. Working with Professor Judy Massare (Brockport College, New York), Dean spent over five years comparing and contrasting the Doncaster Ichthyosaur that had been nicknamed “Fizzy” with other museum specimens from around the world. Unusual features in the humerus and femur (upper limb bones) along with the humerus length to femur ratio led him to believe that the Doncaster fossil represented something not seen before. Over 1,000 other Ichthyosaurus fossils were examined during the course of the research, a further four fossils (three most likely of juveniles), were identified as having the same anatomical features as “Fizzy”. Professor Massare has worked on a number of Ichthyosaur specimens, most notably a remarkable fossil found in Wyoming. She used her knowledge of Ichthyosaur anatomy and locomotion to compare and contrast the fossil material. The strata from which this fossil was extracted dates from the Early Jurassic (Lower Jurassic – Hettangian/Sinemurian–Pliensbachian). It has been estimated that this fossil material is around 189 million years old. (Pliensbachian faunal stage). Most Ichthyosaur fossils that date from this stage of the Jurassic are fragmentary, very few articulated specimens with cranial material are known. The Doncaster fossil is the most complete Ichthyosaur fossil that dates from this time interval. The upper arm bone (humerus) is short and robust. The femur (thigh bone), in comparison is very much smaller. The morphology of the fossil specimens ascribed to this new species, suggest that there were differences in the limb bones of males and females. Such differences have not been identified before in Ichthyosaurs. The species name pays tribute to Mary Anning (1799-1847), it was Mary along with other family members who found the fossils of the first scientifically described “fish lizard”. The very first formal, academic paper describing an Ichthyosaur was published in 1814, the study being based on fossil material found in the Lyme Regis area by the Anning family. Last year, Everything Dinosaur wrote a short article commemorating the 200th anniversary of this event. 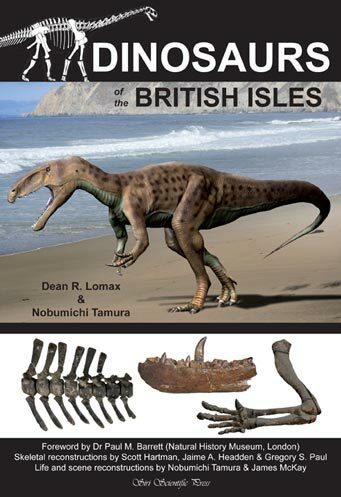 It has been a very busy couple of years for Dean, as well as helping to increase our understanding of British marine reptiles, in 2014, his book “Dinosaurs of the British Isles”, co-authored with Nobumichi Tamura was published. This book provides a comprehensive account of the dinosaur fossils associated with the British Isles and we at Everything Dinosaur strongly recommend it to anyone with an interest in dinosaurs. This new specimen, helps palaeontologists to understand in greater detail the evolution and radiation of the Ichthyosauria. I. anningae adds to the number of Ichthyosaurus known from the Pliensbachian faunal stage. There has now been recorded at least three species (possibly as many as five species) from this time interval. This is significant, as the discovery of this new species falls between two of the three known major radiations of Ichthyosaur genera. 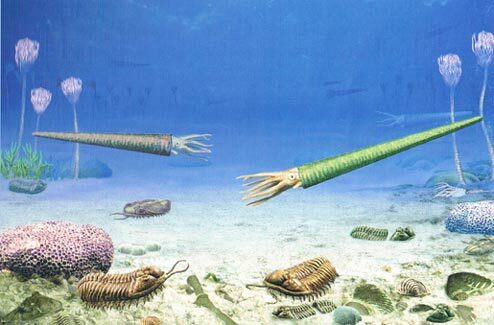 The numbers and types of Ichthyosaur seemed to have increased around 200 million years ago (Triassic/Jurassic boundary) – Neoichthyosaurian radiation. A second major radiation occurred around 175 million years ago (Aalenian faunal stage), the Ophthalomosaurid radiation, when many new kinds of “fish lizard” also evolved. Children at Hadfield Infant School have had a busy day learning all about dinosaurs, fossils and life in the past. The children in Reception, Year 1 and Year 2 have started a term topic all about prehistoric animals. Some of the children found a “dinosaur egg” in their classroom, what type of dinosaur could have laid such a big egg? The egg had started to hatch and sure enough, the children had a baby dinosaur to look after. We hope that they will learn all about dinosaur plant-eaters and meat-eaters so that they can work out what to feed it! What would happen if the baby dinosaur escaped one evening? Where would the dinosaur go? Can the children follow the dinosaur’s travels around the world? Our dinosaur expert felt very much at home at the school today. On the wall in the hall where he had been working was a big picture with lots of bones in it. The children learned that scientists look at the fossilised bones of dinosaurs so that they can work out what they looked like and how they lived. Learning all about fossil bones of dinosaurs. With the enthusiastic support of the teaching team the children will have a wonderful and engaging topic to study up to the end of the spring term. There were so many amazing questions asked during the day, questions such as what was the biggest crocodile of all time? How big were the plates on the back of Stegosaurus? Good job the children had been working on their phonics to help them work out the difference between big, bigger and biggest. We sent over some extension resources to help the teaching team answer some of the questions that we did not get round to in our dinosaur workshop. We think this term topic is going to be a “roaring success”!